Saudi Crown Prince Mohammed bin Salman embarked Thursday on a regional tour starting with the United Arab Emirates, his first official trip abroad since critic Jamal Khashoggi's murder tipped the country into crisis. 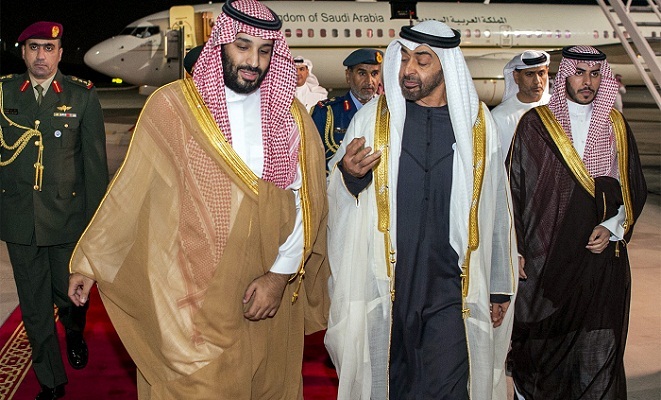 Prince Mohammed will visit "number of brotherly" Arab states at the request of his father, King Salman, the royal court said in a statement carried by the official Saudi Press Agency, without naming the countries. US President Donald Trump on Tuesday glossed over the CIA's reported conclusion that the crown prince, the kingdom's de facto ruler, had authorised the killing. Saudi authorities are seeking the death penalty against five men over the killing, but international attention remains focused on the crown prince despite an official insistence that he was not involved.